Welcome back to the Ask David Glenn Podcast! 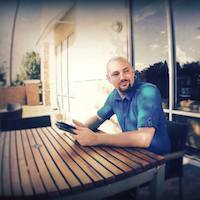 I’m David Glenn of davidglennrecording.com, home of the free VIP mix training bundle. If you haven’t done so yet, go subscribe. Jump on the list. You’re going to gain access to two free sets of multi-tracks that you can use for your resume. Mix them, add to them, remove, produce, do your thing. Two free training courses, and a whole slew of other stuff that you get just for jumping on the list and becoming a subscriber. 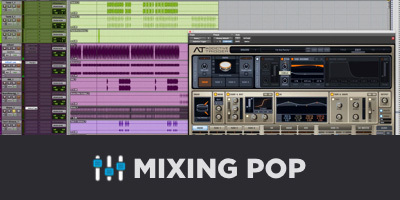 We’re going to be talking about parallel compression today, but before we jump in, I want to let you know that this podcast is brought to you by themixacademy.com, where for just $27 a month, you’re going to gain access to session files, start to finish mixing tutorials, online coaching calls, exclusive member discounts, and more. Sign up today at themixacademy.com. You’ll get your choice of one of my premium training courses included with your membership. Well, Matthew, to answer your question in short, is it a necessity? No way. Not at all. If the song isn’t calling for big drums, or the sounds that are given to you already sound big, then by all means, skip the parallel compression. It’s definitely a tool that I go to quite often. I think most mixes, I do reach for it, but in no way, shape, or form is it an absolute yes, every single time. What I’d actually suggest is to experiment with the parallel processing, and if you are feeling like it’s too heavy, try a lower ratio. Back off the threshold. Compress less. Try messing around with the settings a little bit and see if you get something that’s a little more gentle, maybe that adds a little bit of fullness, but doesn’t overpower the track. 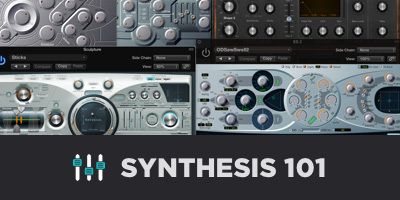 Just play with the compressor, but don’t forget that parallel processing can be used with more than just compression. I would try some parallel saturation, maybe some parallel EQ. Do some different things with it. I’ve actually been experimenting myself with the UAD Culture Vulture on the back end of my parallel compression. Also, I have the Vertigo Sound VSM-3. That’s actually been winning out for me against the Culture Vulture. Another thought was try parallel processing your drums following that compressor with a transient designer. So, do some parallel compression, but then maybe slap a transient designer on there and pull back some sustain. Clean it up a little bit. Add some attack. So many different options that you can do. I really love the iZotope Alloy 2 Multi-band transient designer, because I can do different things to the low end, the mids, and the top. That’s an excellent tool. But ultimately, I just want to encourage you, man, I would actually need to take my own advice here, is to trust your gut. Listen first. Listen to what you’ve been given, and then determine whether or not you even need to do anything at all. I just picked up recently the Abbey Road King microphone plug-in, and I’ve been having a blast with that. I think I have 20 instances on the latest mix that I’m working on. A hip-hop track. But it’s not always necessary to go crazy. So listen first, then determine your plan of attack by deciding what you want things to sound like, and then, and only then, reach for the tools to help you accomplish the sound that you hear in your head. So, I hope that helps. Lastly, let me let you know, instead of parallel compressing the drums as a whole, maybe it’s just the kick, or just the snare that you want that extra oomph on. It’s okay to separate the process out. Many top mixers – I think Dave Pensado is the first one I saw that would just parallel compress the kick – actually, he would parallel compress the kick, parallel compress the snare, parallel compress the bass. Different elements, depending upon what the song was calling for, rather than the pretty widespread acceptance of parallel compressing the drums as a whole. Then you’ve been following for quite a while. I heard some of your mixes, man, I know that you’ve got a great talent, so I’m going to shout out that for you, but by all means, you’ve seen me go back to a squashed parallel drum crush where I still have the option in my template to do kick on its own, snare on its own, but then the drums as a whole, but I only send the shells of the kit – the kick/snare/toms to parallel compression. I send my overheads to metal. The hat, the ride, the overheads, reverse cymbals, crashes, any miscellaneous high end sounds to a buss that I call “high end,” where I don’t parallel compress. So I leave the cymbals a little more open and a little bit more controlled, rather than smashing them with compression. I don’t want all of that extra stuff getting into the parallel compression chain. I rambled a little bit, but I hope that helps, man. Trust your instincts. Again, Matt, I’ve heard your mixes, I know that you’re incredible. You’re a talented beast. I can’t remember, but I think you’re sixteen years old? Forgive me if I’m getting that wrong, but anyways. I appreciate the question, I hope you appreciate the answer, and I wish you nothing but the best, my friend. Thank you so much for checking out the podcast! I hope that you enjoy this one. Have a great one, I’ll catch you in the next episode of the Ask David Glenn Podcast.